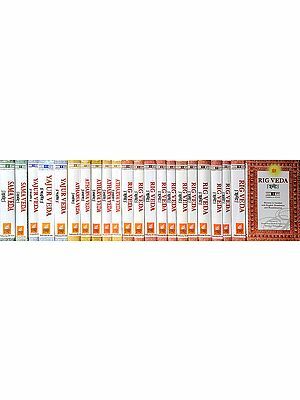 Veda Bhashya by Prof. Tulsiram - A step to make Vedas available to the English World. Hancock first gives the range of dates accepted by Western scholars such as Max Muller and Dr. Mitchiner, a great authority on ancient Sanskrit texts: Vedas 1500-800 BC, Brahmanas 900-600 BC, Aranyakas 700-500 BC, Upanishads 600-400 BC, Mahabharata 350 BC-50 AD, Ramayana 250 BC-200AD, Puranas AD 200-1500. "Amazing!" says he: "Whether starting in 1500 BC, 1400 BC or 1200 BC, the timelines, suggested for the compilation and codification of the Vedas, all rest on the now thoroughly falsified and bankrupt (and rejected) idea of an Aryan invasion of India around 1500 BC". He continues: 'There was no such thing as an Aryan race that spoke Indo -European languages and authored the Vedas, there was no such event as an Aryan invasion of India. 'Arya' does not mean a race, it means a noble, educated and cultured person. So once the hypothesis of the Aryan invasion is rejected, the structure of the supposed dates of the Vedas and other texts crumbles like a house of cards.' And then he sums up his view of the Western approach to the Vedas and Indian civilization: "Almost everything that was ever written about this literature and civilization before five years ago (i.e., before 1997) is wrong." (See pp. 131, 116, 129). Veda is Shabda Brahma, Divine Knowledge in metalanguage. The very word 'Veda' means knowledge. It is derived from the root 'vid', which means: 'to be, to know, to think, and to benefit from'. So whatever is is Veda: the very world of existence is Veda. The knowledge of the world of existence is Veda. The extension of knowledge through thought and research further is Veda. And to use that knowledge for the benefit of mankind with the protection and preservation of nature and the environment, without hurting any form of life, that is Veda. Rgveda is the Veda of Knowledge, Yajurveda is the Veda of Karma, Samaveda is the Veda of Bhakti, and Atharva-veda is Brahma Veda, an umbrella code, celebrating the all comprehensive Divine Presence as in Book 10, hymns 7 and 8. Samaveda is a symphony of mantric songs of prayer sung by the seers of all time Truth in a state of Ananda. 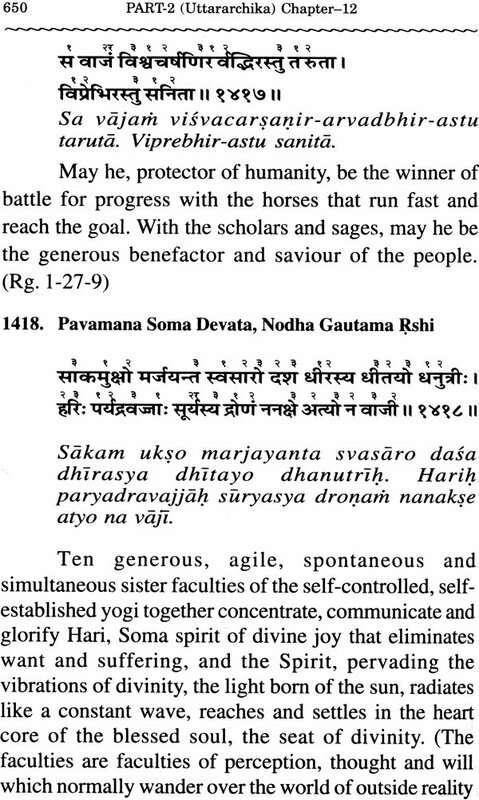 It consists of 1875 mantras which, except for about 100, are common with the celebrative mantras of Rgveda. In some mantras there are minor variations from the Rks, turning descriptive celebrations into prayerful songs of meditative ecstasy. The theme of Samaveda is, predominantly, musical celebration of three attributes of the Godhead, Parama Brahma: Agni, Indra and Soma. Here and there, there are other themes too, but they are rare rather than frequent: Indragni, Mitra- Varuna, Usha, Ashvins, Maruts, Aditya, Vishvedeva, Surya as Atma, Sarasvati, Savita, Brahmanaspati, Vishnu, Brhaspati, and Vishvakarma. However, these themes do not mean different deities, they are reflections of the existential manifestation of the same One Brahma, immanent as well as transcendent. The celebration of Agni, Indra and Soma is celebration of the One Supreme Divinity, the original, ultimate and eternal Unity of existence reflecting in infinite variety, Aum. Yajurveda is Karma Veda, knowledge of the application of knowledge in practical living in a positive, creative and constructive manner at both the individual and the collective leveL This way of living and working is "Yajna" which, in simple words, means a selfless and participative way of living and thereby creating the maximum out of the minimum for all, including nature, humanity, the environment and the whole universe, with complete faith in the living, breathing, organismic, intelligent, self-organising, self-conscious, Sovereign System. Living the yajnic way, we realise that Nature is an organism, a tree, Ashwattha, and the entire cosmos including ourselves is a Purusha, and we as human beings are but cells in this Divine Purusha. Without living this. way in a state of full awareness, we cannot realise that you and I, Mother Nature and the Supreme Brahma are all together, one in union and communion. Vedic knowledge then is the Divine knowledge of life in existence from the dimensionless point and particle unto Infinity. And prayerful living and communion in meditation and yoga means: Self-integration of the particle, Re-integration of the part with the whole, and Re-union of the finite with the Infinite. "Of all these elements (Akasha, Vayu, Agni, Apah, and Prthivi) the earth is the essence. The essence of Earth is waters. The essence of waters is oshadhis, herbs. The essence of oshadhis is Purusha, the human being. The essence of humans is Yak, speech. The essence of Vak is Rk. Rgveda. The essence of Rks is Sama. The essence of Sama is Udgitha, the cosmic resonance of Aum. That Aum, chant, sing and worship in meditation." Lord Krishna, divine persona of the Gita, also says: Of the Vedas, I am Sama (10, 22). Samaveda is a symphony of mantric songs sung by the seers of all time in a state of Ananda. It consists of 1875 mantras which, except for about 100, are common with the celebrative mantras of Rgveda. 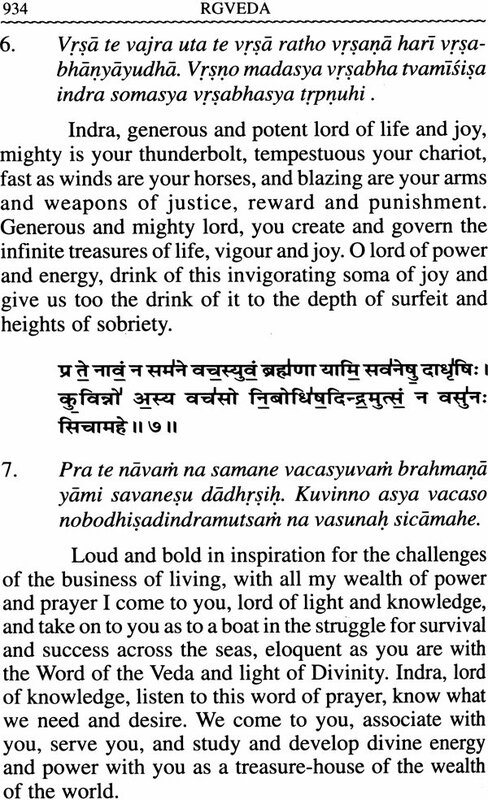 In some mantras there are minor variations from the Rks, turning descriptive celebrations into prayerful songs of meditative ecstasy. 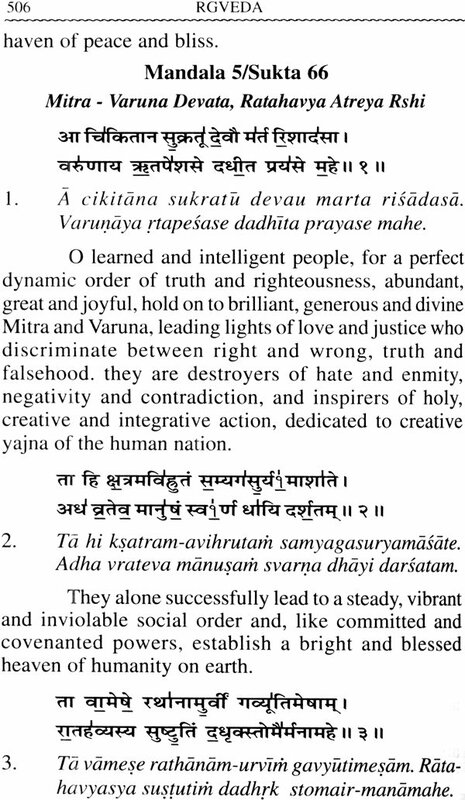 Samaveda is codified in two parts: the first is Purvarchika, the former phase of celebration (1-640 mantras), and the second is Uttararchika, the latter phase (651-1875 mantras), with an intermediary phase titled Mahanamnyarchika of ten mantras (641- 650). 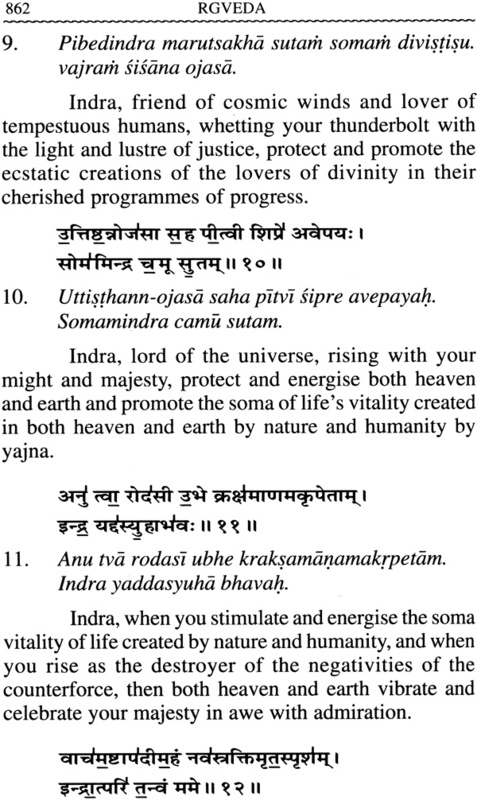 The Uttararchika consists of twenty one chapters (mantras 651-1875). 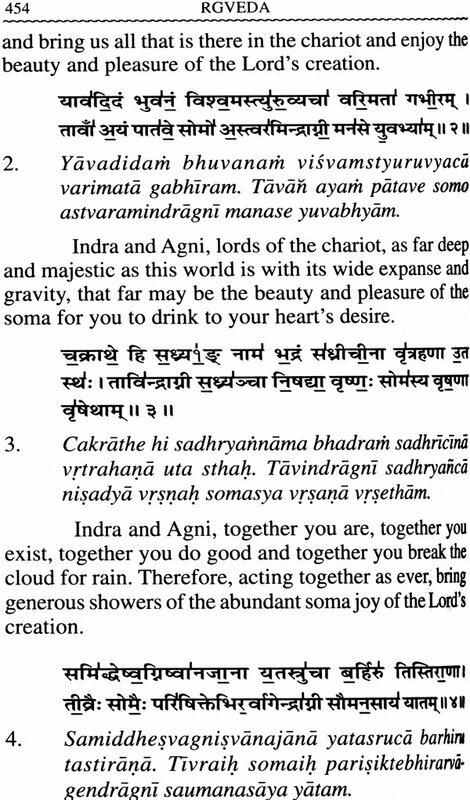 Agni, Indra and Soma. Here and there, there are other themes too, but they are rare rather than frequent: Indragni, Mitra- Varuna, Usha, Ashvins, Maruts, Aditya, Vishvedeva, Surya as Atma, Sarasvati, Savita, Brahmanaspati, Vishnu, Brhaspati, and Vishvakarma. However, these themes do not mean different deities, they are reflections of the existential manifestation of the same One Brahma, immanent as well as transcendent. 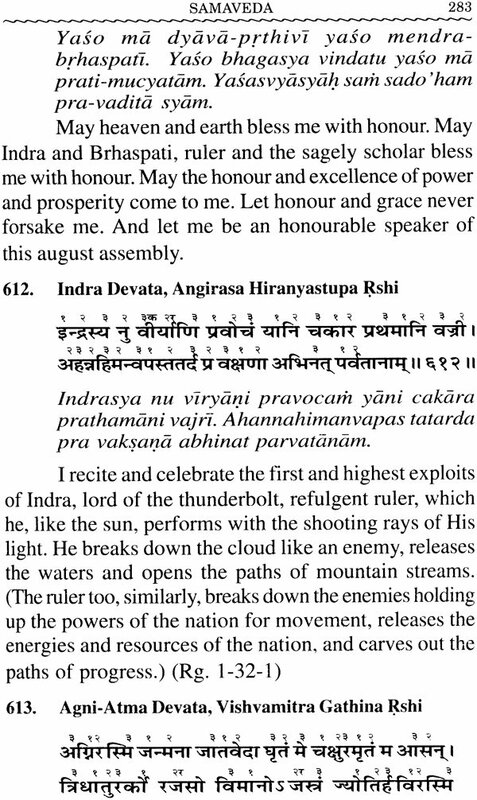 God is One, says Rgveda (1, 164, 46), holy sages speak of It in many different ways by different names such as Agni, Indra, Mitra, Varuna and many more. Atharva-veda, in fact, has almost the last word: God is one, only one, neither two nor three nor four, nor five, nor six, nor seven, nor eight, nor nine, nor ten (13, 4,12 and 16-18). The celebration of Agni, Indra and Soma is celebration of the One Supreme Divinity, the original, ultimate and eternal Unity of existence reflecting in infinite variety, Aum. Aum: this alone is the imperishable Divine, the Word. This all is the expansive creative evolution of That, the living articulation of That, the Veda, the Sama. That is the Seed (Gita, 7, 10), that is the womb, Hiranyagarbha (Rgveda 1, 121, 1), That is the Tree of Existence (Rgveda 1, 164, 20), the Ashvattha (Kathopanishad 2,3, 1) which grows on and on from the root to the expansive filaments (Gita, 15, 1-2), the germination as well as the termination of a life cycle in Eternity. That is the Purusha, self-conscious, self-articulative, self-generative, self-progressive, self-recessive, Cosmic Personality (Rgveda 10, 90, 1-16). That same is Agni, Indra, Soma and others of Samaveda. Sama celebrates That in music in a state of Ananda. The celebration of Agni is the celebration of the divine warmth of life, of the light of the world and of the love and passion for living. 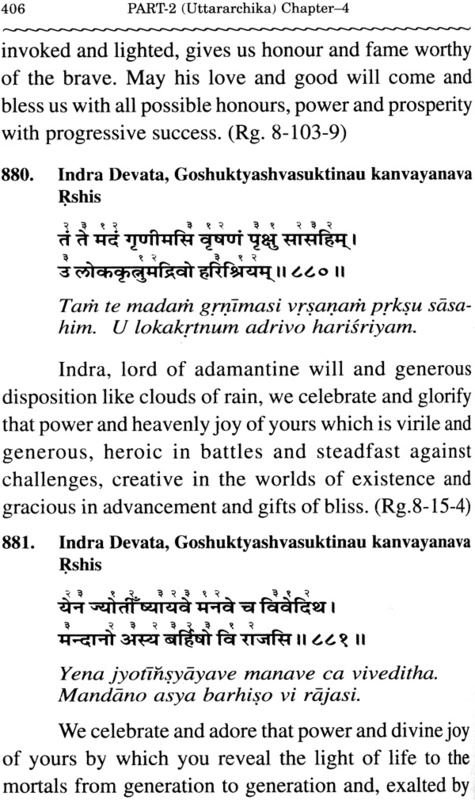 Indra is the power of life, the power of the world and the love and passion for the rectitude of living. Soma is the poetry, beauty and pleasure of life, the sweetness and joy of the world and the bliss and beatitude of the soul's experience in its reunion with Divinity in Samadhi. Who then is the poet of the Vedas? The answer is in Yajurveda 40, 8: That Cosmic Spirit which pervades and rules every moving particle in the moving universe is "the poet, thinker, all-comprehending, and self-existent". That is the Lord who creates the world of existence, ordains the Laws of its dynamics, and reveals the poetry of its beauty and majesty, the Vedas. "From that Lord of universal yajna were born the Rks and Samans. From Him were born the Chhandas of Atharva-veda and from Him were born the Yajus", (Yajurveda 31, 7). The Vedic lore comes in Pura- kalpa, the beginning of the world of humanity (Shvetashvataropanishad, 6, 22) and when its function is over at the end of the kalpa, one cycle of existence, it retires into Brahma- loka (Atharva-veda 19, 71, 1). Max Muller is known as a world renowned Vedic scholar and exegesist of the West. Max Muller once ventured to pronounce a purely arbitrary date based on unproven assumptions that around 1200 B.C. was the date of the Rgveda. Later, he himself warned his students that "Whether the Vedic Hymns were composed in 1000 or 1500 or 2000 B.C., no power on earth could ever fix . Whatever may be the date of the Vedic hymns . they have their own unique place and stand by themselves". Such daring presumptions of western scholars about the date of the Vedas are exposed by Graham Hancock in his latest researches, in his explosive book: Underworld: The Mysterious Origins of Civilization (2002). 'Veda' means knowledge, pure knowledge in scientific style, no story, no history, no mythology. 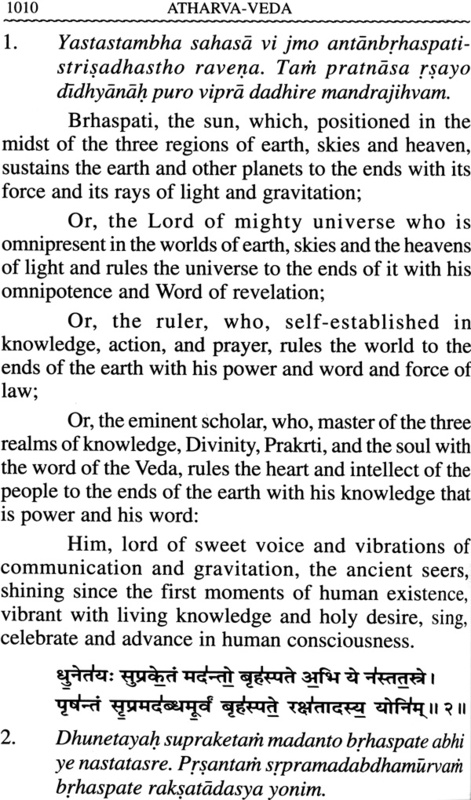 The four Vedas are Divine Knowledge of existence in the essence: the first, original and complete universal knowledge of Nature, humanity and Divinity revealed at the dawn of creation for the enlightenment and guidance of humanity on earth. As first Revelation, they are Shruti, the rest is Smrti, Reminder, search or research for the essence of various branches of existence. Of the four, Rgveda is Jnanaveda, Yajurveda is Karmaveda for human guidance in action, Samaveda is Bhaktiveda for divine celebration, and Atharvaveda is Brahmaveda, tribute to Brahma, Sukshatra for all. Yajurveda is knowledge of the science of living, being as well as becoming, at the individual as well as the collective level in relation to Nature, humanity and Divinity. There is nothing unrelated, nothing isolated in the world. The universe is Purusha, a living, breathing, intelligent, self- organising, sovereign system, the sole ruler and ordainer of which is the Omniscient, Omnipresent and Omnipotent Cosmic Spirit, Brahma Supreme. We all are cells in the cosmic body of this Purusha, living and participating in the organismic System of the world for the fulfilment of personal as well as Divine purpose. Life is a gift of Savita, Lord Creator and Giver of light, food and energy for body, mind and soul. We thank the Lord, and the Lord enjoins us to the highest action, yajna, positive, creative and collective activity in a state of good health, freedom and prosperity. Yajurveda celebrates the glory of active life: the preparation for living, love and marriage for the joy of family life, retirement, community life of Varna-Ashram Dharma, national and international organisation, Rashtra and Swaraj, Parliamentary Democracy, duties of the people and the rulers, this on the social side. Then knowledge of body, mind and soul, birth and rebirth, journey of the soul across birth and death, self-realisation through comprehensive living in organismic relationship with Nature, humanity and the Lord Supreme. In short, life is a four-act play in the eternal drama of existence in which we have countless exits and entrances, without beginning and without end. The wonder is that the exit and entrance are simultaneous, identical like the Zero and 2400 hours of the day-night cycle. Yajurveda is Karma Veda, knowledge of the application of knowledge in practical living in a positive, creative and constructive manner at both the individual and the collective level This way of living and working is "Yajna" which, in simple words, means a selfless and participative way of living and thereby creating the maximum out of the minimum for all, including nature, humanity, the environment and the whole universe, with complete faith in the living, breathing, organismic, intelligent, self-organising, self-conscious, Sovereign System. Living the yajnic way, we realise that Nature is an organism, a tree, Ashwattha, and the entire cosmos including ourselves is a Purusha, and we as human beings are but cells in this Divine Purusha. Without living this way in a state of full awareness, we cannot realise that you and I, Mother Nature and the Supreme Brahma are all together, one in union and communion. 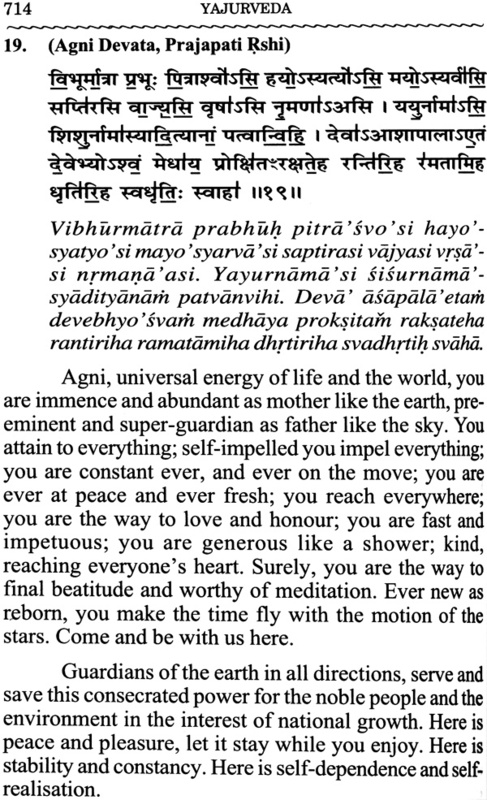 This is the climactic close of Yajurveda: The light and life that shines in and beyond the sun is that Supreme Purusha. That is there, and that is here in me. Om is the saviour. Om is Brahma. Brahma is Infinite, Sublime! 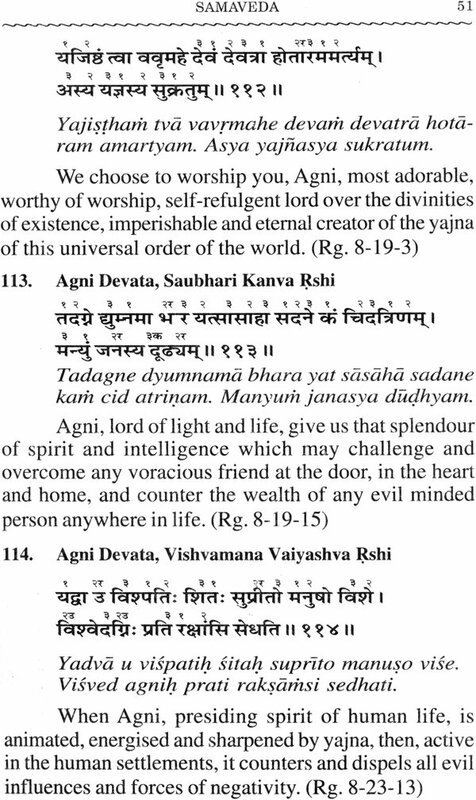 The message of Yajurveda begins with the rousing divine call to live: "Be vibrant as the winds!" But we must be gratefully vibrant: "O Lord we pray for and thank thee for the gift of food and energy for life, for the health and efficiency of body, mind and soul." All of us must dedicate ourselves to Savita, giver of life and light, with devotion to the highest, yajnic action, we must not hurt the cosmic 'Cow', and we must not allow a thief to boss over us and deprive us of our freedom of thought, word and deed. As you open the text of Yajurveda, you find the words: Savita Devata, Prajapati Parameshthi Rshi. 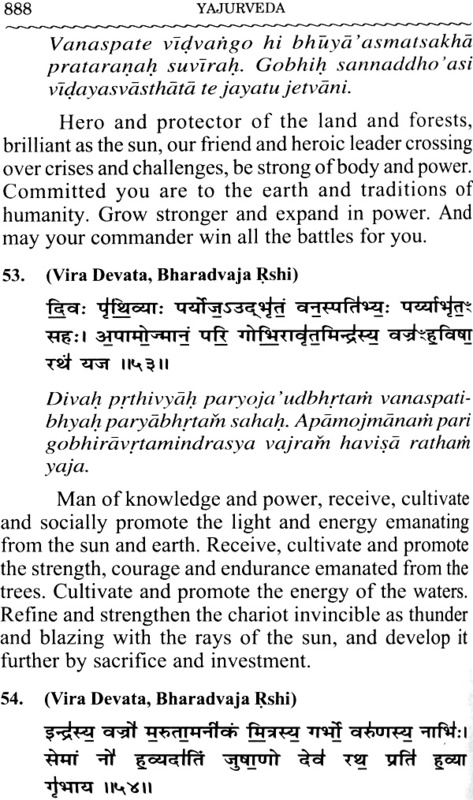 'Devata' here means the subject which is dealt with in the mantra. 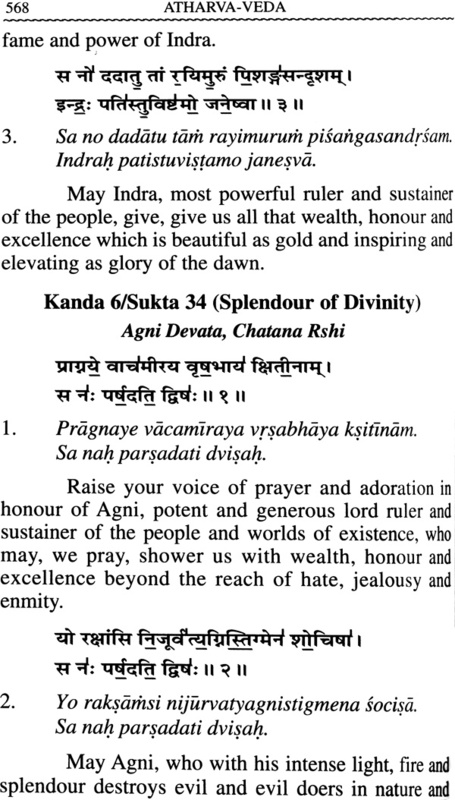 'Devata' as a Vedic term means a presence, a power, a force, which is brilliant, illuminative, and generous. 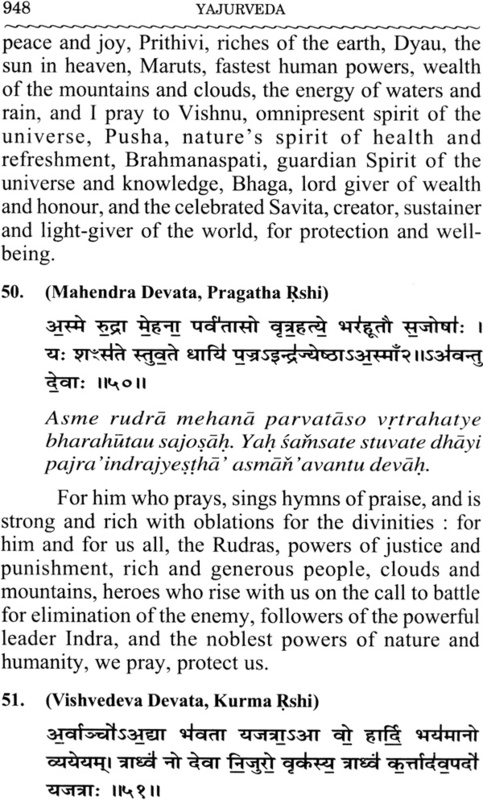 The 'Devata' of a mantra may be God, the One Sacchidananda Brahma as in the closing mantra quoted above, or Savita, the same One self-refulgent God as in the opening mantra; or it can be a generous divine power of Nature such as the sun, moon, earth; or it can be a noble person of brilliant quality of nature, character and performance as a ruler, leader, commander, teacher, etc. 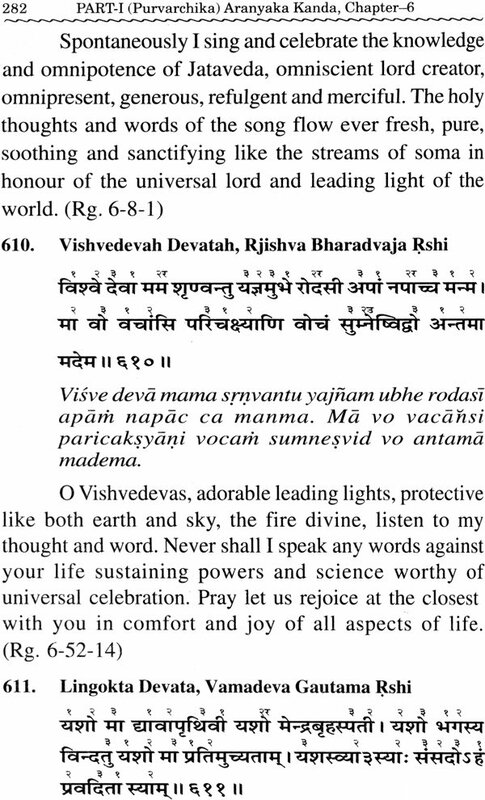 What the 'Devata' means in any particular mantra depends on the total context that emerges from the mantra. 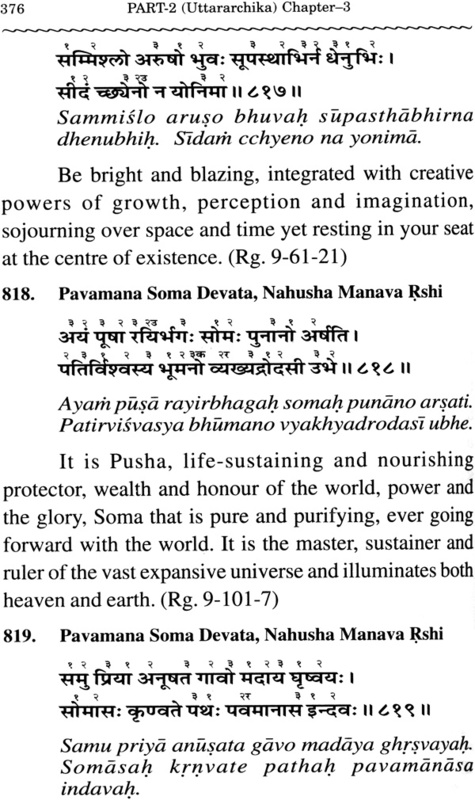 Prajapati Parameshthi is the Rshi of the opening mantra. 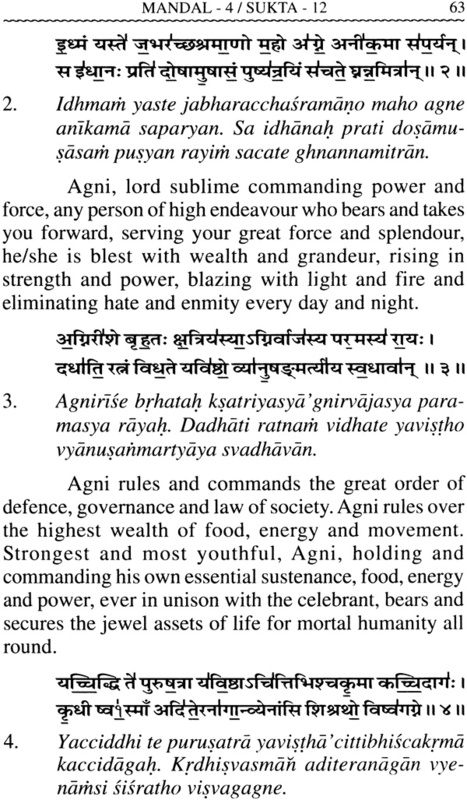 The Rshi in the Arsh tradition is not the author of the mantra, Rshi is the exponent of the meaning of the mantra. 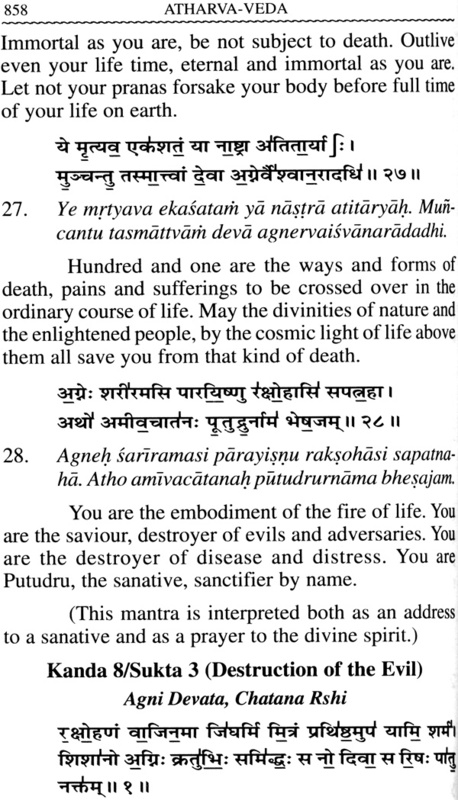 As Maharshi Yaska says in the Nirukta, Rishis are the 'seers of the mantras': they are the sages who went into deep meditation unto the universal frequency of the Cosmic Mind and experienced the voice of Divinity speaking in the mantra; the mantra, a Semantic correspondence of the Divine Voice; the Divine Voice, a sound correspondence of Divine Awareness of the Reality of Existence in the modes of Being and Becoming. Who then is the poet of the Vedas? 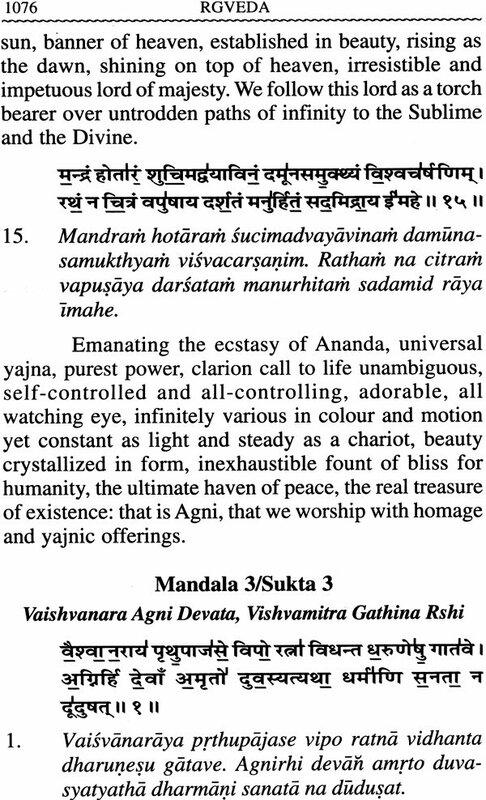 The answer is in Yajurveda 40, 8: That Cosmic Spirit which pervades and rules every moving particle in the moving universe is "the poet, thinker, all-comprehending, and self-existent". That is the Lord who creates the world of existence, ordains the Laws of its dynamics, and reveals the poetry of its beauty and majesty, the Vedas. "From that Lord of universal yajna were born the Rks and Samans. From Him were born the chhandas of Atharva-veda and from Him were born the Yajus" (Yajurveda 31, 7). The Vedic lore comes in Pura- kalpa, the beginning of the world of humanity (Shvetashvataropanishad, 6, 22) and when its function is over at the end of the kalpa, one cycle of existence, it retires into Brahma- loka (Atharva-veda 19, 71, 1). When were the Vedas revealed? What is their age? How old are they? As old as the age of humanity on earth. The Lord who creates humanity leaves them not to nature like animals. He enlightens them with the knowledge of existence and their place in the world, with the vision of their journey, and its culmination. Swami Dayananda works out the age of the Vedas on the basis of Surya Siddhanta which in the year 2010 A.D. comes to 1,96,08,53,110 years. If someone does not accept it and insists on historical proof, we learn the problem but no possibility of solution on scientific and historical grounds from Max Muller, a world renowned Vedic scholar and exegesist of the West: Max Muller once ventured to pronounce a purely arbitrary date based on unproven assumptions that around 1200 B.C. was the date of the Rgveda. Later, he himself warned his students that "Whether the Vedic Hymns were composed in 1000 or 1500 or 2000 B.C., no power on earth could ever fix .... Whatever may be the date of the Vedic hymns ... they have their own unique place and stand by themselves". The daring presumptions of western scholars about the date of the Vedas are exposed by Graham Hancock in his latest researches, in his book: Underworld: The Mysterious Origins of Civilization (2002). If no history, no Science, no human imagination can help, better follow the sages, tradition, Surya Siddhanta, and the daily sankalpa of the dedicated Brahmanas, and lastly follow the internal evidence of the Vedas themselves: Vedas are the Original, Universal, Eternal articulation of Divinity, by Divinity, for humanity at the beginning of human creation. 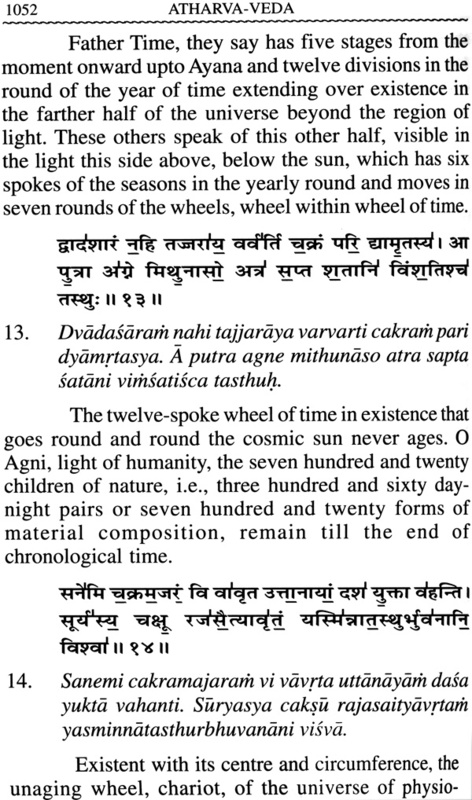 Since Vedas are the oldest recorded knowledge of the world, no one can guess how much time, even ages, might have passed between the Vedas and the next work in Sanskrit. If so, there is no other work in Sanskrit comparable to the Vedas. Consequently the language of any other work would not provide any clue for the interpretation of Veda mantras. Vedic language then has to be interpreted on its own, and the only key available for such independent interpretation is the Nirukta and Nighantu of Maharshi Yaska, the grammatical works of Pinini and Patanjali, and Swami Dayananda' s notes in his commentary on Vedic verses explaining the structure and meaning of words. Without reference to these bases of Vedic interpretation, certain words have been given a very twisted meaning in other translations, by Max Muller, Griffith, Whitney, and even Sayana. 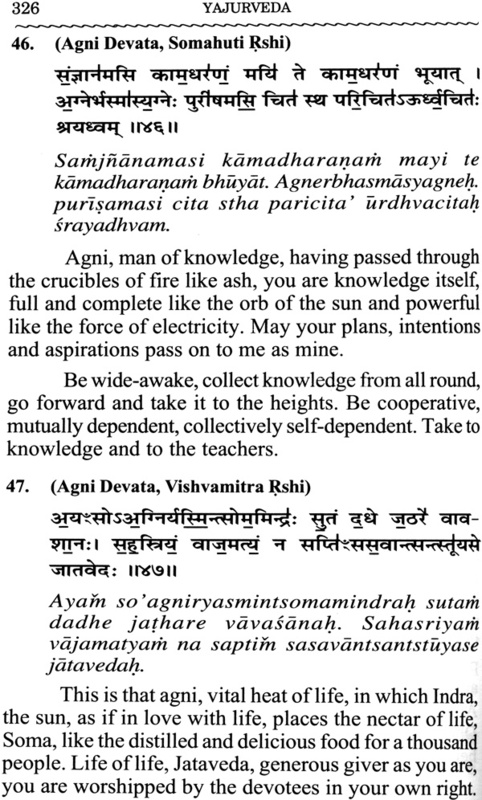 The torch light for proper translation today is the Arsh tradition followed by Swami Dayananda. The Arsh way is the only right way, the key, to discover the truth of the Vedas. According to Shri Aurobindo, Swami Dayananda alone, in modem times, possessed this key to the secret of the Vedas. Interpreted this way the Vedas shine in their essential scientific refulgence. As science is pure knowledge, no story, no history, no mythology, so are the Vedas, pure knowledge: knowledge of nature, mind, spirit, human society, Dharma, the dynamics of existence and the right way of living as individuals and as members of organised society up to the international level. Even Max Muller, though he was once committed to uprooting the religion of India by his arbitrary translation of Rigveda, had to admit in his Biographical Essays that: "To Swami Dayanand, everything contained in the Vedas was not only perfect truth, but he went one step further and, by their interpretation, succeeded in persuading others that everything worth knowing, even the most recent inventions of modem science, were alluded to in the Vedas. Steam Engines, Electricity, Telegraphy and Wireless Marconogram were shown to have been at least in the germ known to the poets of the Vedas". 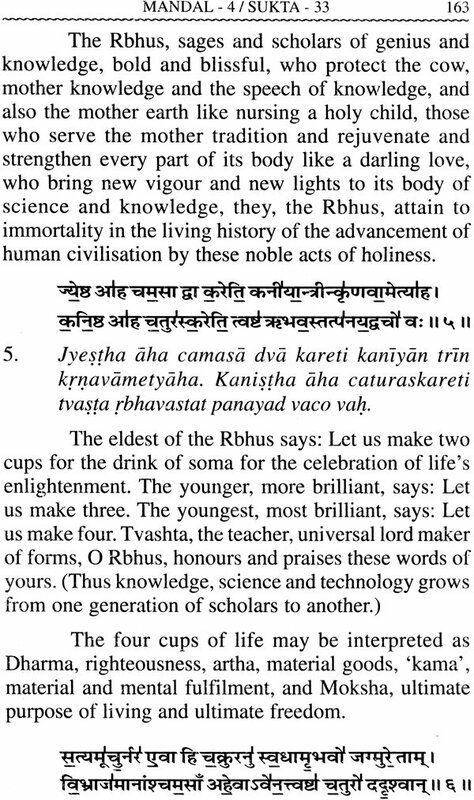 In fact Shri Aurobindo in his essay on "Dayananda and the Veda" goes even further: "There is nothing fantastic in Dayananda' s idea that Veda contains truth of science as well as truth of religion (i.e., Dharma). I will even add my own conviction that Veda contains other truths of a Science the modern world does not at all possess, and in that case, Dayananda has rather understated than overstated the depth and range of the Vedic wisdom". 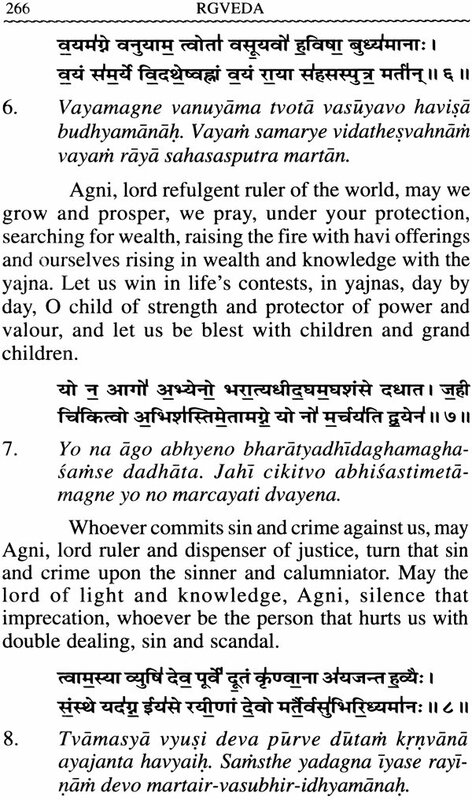 (see Bankim, Tilak, Dayananda, p. 57). The basic requirement of scriptural interpretation for us is faith and intelligential solemnity, not doubt and cynicism. 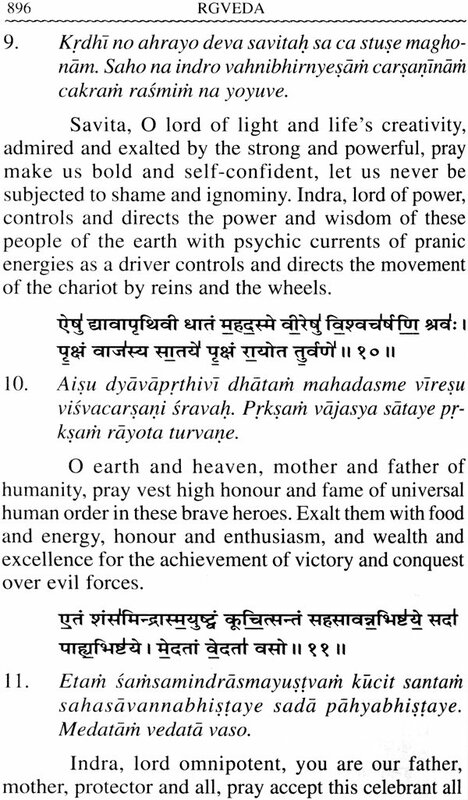 This way, if we want to confirm our faith in the scientific vision of the Veda, refer to Rgveda I, 34, 7 and 9 for three-stage rocket chariot of the Ashwins, to 1,36,18 for Agni missile, to 1,37,3 for winds and communication, to 1, 46, 10 for concentration of light, to 1, 52, 1 and 1, 36, 1 for the science of missile defence and space- craft, to 6, 46, 11 for missiles and war heads, and so on. Position of the solar system with planets and satellites, earth's and sun's gravitation, solar healing, parliamentary democracy, organisational structure of the nation and the international world, water and electric energy, and so many other subjects are hinted at in Vedic verses. We need serious research to work out the details. Had even Einstein read the Purusha Sukta of the Vedas and Brahma Sutras and Sankhya Vaisheshika philosophy, probably he would have found clues to his Unified Field theory of the universe. Beyond faith and intelligential solemnity we need vision, potential Darshan of the Vedic Rshis. Once you have had the vision of truth, doubts disappear and questions recede into silence because then, nothing shines but the Truth, and Divinity Itself reveals It's Reality with showers of Grace. In this mood and in this spirit, I suggest, you start your search for Vedic Truth and the Mystery of Existence. Lastly, if the Vedic lore is as old as humanity itself, what is its relevance today in the modem world? Ask yourself other questions: What is the relevance of Galileo or Newton or the Theory of Relativity, two plus two makes four, Swaraj, the Vedic word for freedom and self-discipline? Truth is truth, when the statement was made is irrelevant. Vedic truth, if you find it convincing and acceptable, is relevant not only for today but also for all time, to every person, everywhere.